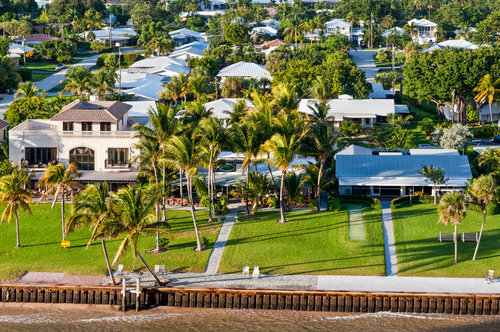 More South Florida homes and condos sold for at least $1 million in 2018 compared to the previous year, according to a luxury market report from The Keyes Company. Across Miami-Dade, Broward, Palm Beach and Martin Counties, single-family home sales in excess of $1 million were 14.7 percent above 2017 levels, while condo sales in the same price range grew 26.6 percent. Federal tax reform drove some of this sales growth, according to Keyes CEO Mike Pappas, although once-skeptical sellers played a major role, too. An influx of buyer interest combined with a renewed eagerness among sellers to create a strong luxury home market in South Florida last year. Keyes vice president Kevin Leonard noted that many luxury buyers were retirees and even cash buyers, lured more by the lifestyle of South Florida communities than anything else, such as a perceived investment opportunity. Cash sales in the South Florida luxury market were up more than 10 percent for single-family homes, and more than 27 percent for condo sales. The median sales price of both property types remained relatively stable, however. Single-family homes sold for at least $1 million last year held onto a median price of $1.6 million, while the median price on a luxury condo grew 2.7 percent, to $1.5 million. Read the entire South Florida luxury market report from Keyes here.